Fans of Google Checkout (do they exist?) will be dismayed to hear that the service is finally being retired, with Google Wallet acting as its replacement. The news was announced on the Google Commerce blog, but little information was given as to why the transition was taking place. Justin Lawyer, Senior Product Manager of Google Wallet, said that Google Wallet is "a platform that enables merchants to meet the demands of a multi-screen world where consumers shop in-stores, at their desks and on their mobile devices." The announcement was also accompanied by some regurgitated Wallet updates including the Instant Buy API, which allows people to purchase items online in a few clicks, and the Wallet Objectives API, which allows merchants to engage their customers with offers. Merchants will be able to use Checkout until November 20 2013, after which all payments will be processed via Wallet. 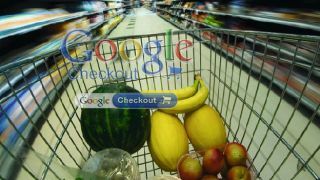 Google assures us that customers will experience no difference in service and should be able to make purchases just as they did with Checkout.